There was a time when the Mission: Impossible directors were one and done. Brian De Palma, John Woo, J. J. Abrams, and Brad Bird each directed an installment before moving on. But Christopher McQuarrie is proving to be the exception. He helmed Mission: Impossible – Rogue Nation in 2018 and returned for Mission: Impossible – Fallout in 2018. Now, McQuarrie is coming back for at least two more sequels. According to The Hollywood Reporter, McQuarrie is close to finalizing a deal with Paramount that will place him at the helm of the next two Mission: Impossible films. And this time, there won’t be a three year gap between sequels. Instead, the plan calls for the seventh Mission: Impossible film to arrive in 2021, with the eighth to follow in 2022. 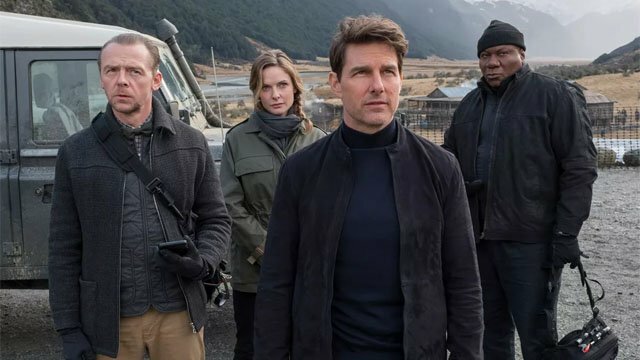 Naturally, Tom Cruise is expected to return alongside Ving Rhames, Simon Pegg, and Rebecca Ferguson. The report notes that several studios attempted to sign McQuarrie after Fallout’s critical and box office success. However, the director choose to continue his partnership with Cruise, which dates back to Valkyrie. McQuarrie also directed Cruise in Jack Reacher, and co-wrote the screenplays for several of Cruise’s other films, including Edge of Tomorrow, The Mummy, and the upcoming Top Gun: Maverick. Once McQuarrie’s deal is wrapped up, he will presumably begin writing the scripts for the two sequels. However, McQuarrie has indicated that he began filming Fallout without a finished script so he could find the movie while he was shooting it. Given the response to Fallout, McQuarrie may try a similar approach for the sequels as well. Are you excited about Christopher McQuarrie returning for the next two Mission: Impossible films? Let us know in the comment section below! The post Christopher McQuarrie Will Direct the Next Two Mission: Impossible Movies appeared first on ComingSoon.net.